With a short dress your daughter should be in white ankle socks and white maryjane style shoes. Clean, no scuffs, with socks rolled down 'just so' so theya re the same height. I think it goes without saying, but no socks should be worn for a girl in a long dress. 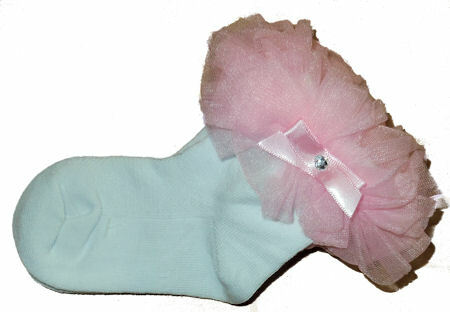 The judges do not judge 'the sock' or 'the ruffle', but more that they are clean, tidy and match the whole look well. Socks with color tend to only look good if they are an exact match to the dress so we advice to just wear them white. 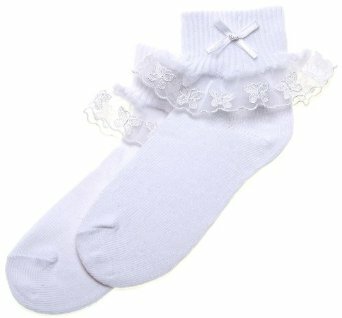 Also, some of the big ruffled socks seem way too young on an older girl so we ask older girls if they are going to wear frilly songs please make sure they have smaller ruffles. 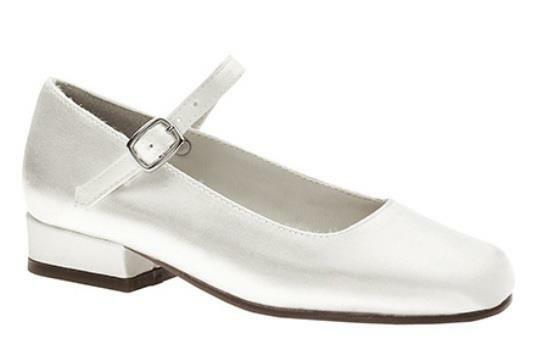 The classic glitz shoe is a white mary jane dress shoe. A shoe tends to look better than a patent shoe, but we dont' take off points for shoe types, as long as they are clean and free of scuffs. 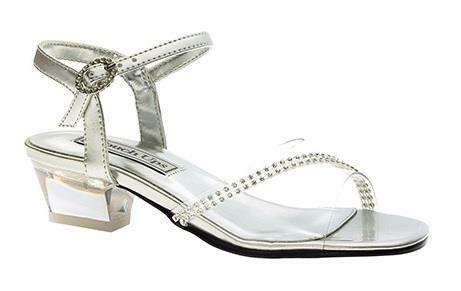 Open toed shoes and sandals are not recommended in glitz pageants. 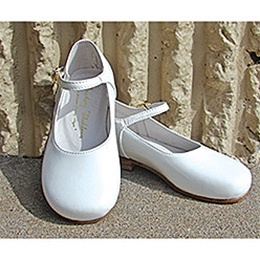 I also have seen quite a few little girls with a larger heel and find they have trouble walking in them. They tend to walk heel-toe, heel-toe in them because they are too much shoe - keep it simple and just a titch of a heel. We are also seeing a trend on older girls in cupcakes that can't find white shoes to go into a show shown below in the teen shoe section, or a nice little strappy sandal. This is fine. Shoes to be worn with long dresses can be what you are comfortable walking in. Some girls in a ballgown might not have mastered a heel yet. We shouldn't see your shoes, but in case we do, its a good idea to have something nice on under the dress.